Considering the wet climate we have in the UK, I wonder why so few people have raincoats? 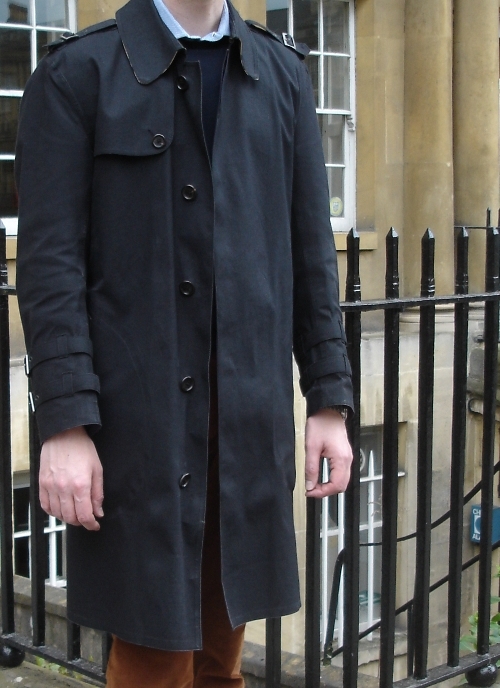 I'm thinking particularly of the trench coat — such a versatile item of clothing. We're all aware of the British military history of the trench coat, and the claims of Burberry and Aquascutum to be its originators. It's these practical antecedents, an item of clothing designed for purpose, that has probably given this style of coat its longevity. They look well with practically any clothes combination too. 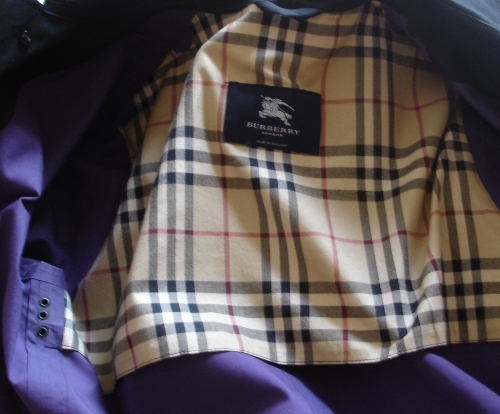 This Burberry trench coat is a proper one meaning it's fully waterproof and made of rubber-bonded cotton. I bought black as a change from the traditional beige/tan colours. 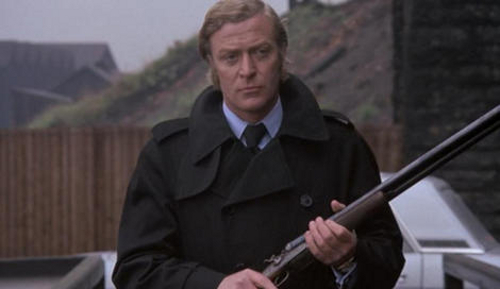 There's a little bit of Michael Caine's Get Carter to it, I think. 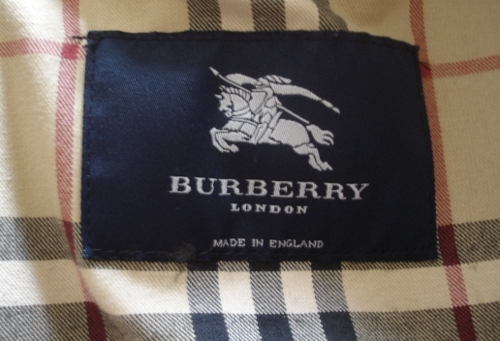 Made in England, it's a wonderful coat. 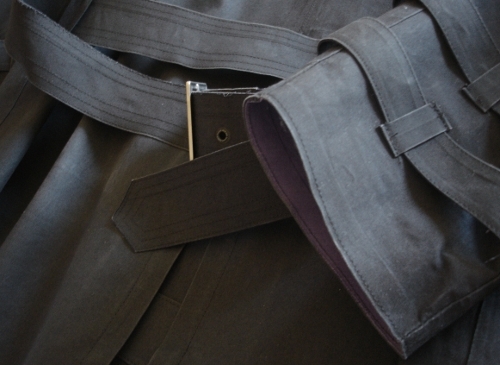 Brilliant in wet weather and in smartening up casual dress. It doesn't look like it has to be worn with suits. Versatility is what I'm reaching for. 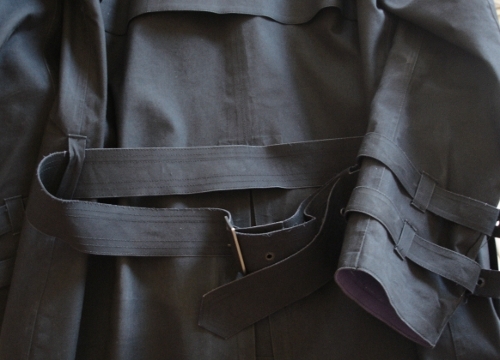 The coat has epaulettes, single vent, waist belt, storm flap over the shoulders to the front and cuff straps. With my Fox umbrella, I can stride out in torrential rain with great confidence. My shins might feel the rain a bit, but there's no getting around that. I refuse to wear waterproof trousers unless I'm fishing.